Why don’t some RV manufacturers include a spare tire with a new RV? Is it a liability issue or a cost issue? 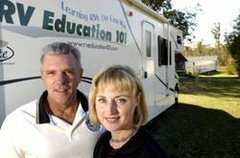 I have heard both sides of the story over the years, and it usually depends on what type of a RV you are talking about. I have owned three towable RV’s and two motorized RV’s. Two of the towable RV’s came with spare tires when I purchased them and I ordered a spare tire as an option on our Class C motorhome, but I could not get a spare for our Class A motorhome. It seems ridiculous that you buy an RV, designed for traveling all over the country, and the one thing not included is a spare tire. Let’s try to find out why there’s no spare! It has been rumored that many years ago an RV owner got hurt while changing a tire on his motorhome and that he sued the RV manufacturer. This is supposedly why many motorhome manufacturers opt not to include a spare tire, especially on larger motorhomes. Admittedly changing a spare tire on a large motorhome is not the same as changing a tire on your automobile. From a liability standpoint the argument is because of the size of the RV and the weight of the tire and wheel it can be dangerous for an individual to attempt changing a tire. Plus you would need to carry some special type of equipment to safely and properly change a tire. I would have to agree, but why not include a spare (without a jack or the other necessary equipment) and have a mandatory warning label stating the dangers of changing a tire along with a recommendation to use a professional road side tire service to change the tire for the owner. Why doesn't the RV come with a spare tire? The combined weight of the tire and wheel is approximately 110 pounds. Even if you feel comfortable lifting that amount of weight, other variables pose a problem when it comes to changing an RV tire. You may find yourself on the side of the road in a confined situation, or during the nighttime when it is raining. Jacking up the side of the RV would be difficult. Leveling jacks are not designed to lift the entire wheel off the ground to change a tire. To change a flat RV tire, it would be necessary to store the correct jacks and jack stands for safety. The next hurdle would be the lug nuts, which are torqued to 500 pounds and difficult to remove. Once removed, and while reinstalling, a tool to properly retorque the lug nuts would be needed. All these necessary tools, combined with the actual spare tire, would take up a considerable amount of space and add additional weight to the RV. Call roadside assistance for tire repair and save yourself the aggravation. My vehicle doesn’t include a spare tire. Where can I get one and where can I store it? Most larger motorhomes don't provide a spare for several reasons. Generally, the wheel assembly is too cumbersome and heavy for one person to change alone without risking injury. We'd recommend that, in the case of a flat, you enlist the help of a roadside service crew to fix your flat tire. If you do decide to obtain a spare wheel assembly, contact your dealer for details on ordering one and the proper way to store it. Now that we know why some motorhome manufacturers don’t include spares why don’t some of the towable manufacturers include spares? This is where the cost issue comes into play. 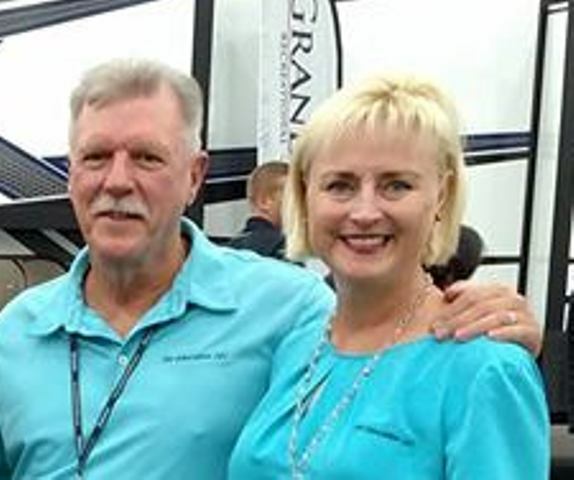 RV manufacturers look at every penny going in to manufacturing the RV. Not including a spare in the base price of the RV can save money, so they list the spare tire as optional. What this means is when the RV dealer orders the unit they can add a spare or not add a spare. If a dealer is trying to bring a unit in based on price point they limit the options included on the unit. When I was a RV sales manager I included a spare tire on every towable unit just because it made sense and it really wasn’t that expensive. You still need to consider the safety aspects of changing a tire on a trailer. Even though it’s smaller and lighter than a motorhome tire you still need equipment like a jack, jack stands, lug wrench and torque wrench. In addition to the equipment required, you need to have a basic understanding of how to safely and properly jack the trailer up. But again, if you have a spare you can always call a roadside service to change it for you. If you don’t have a spare you may be stranded in some out of the way place until the tire can be ordered and come in. This could take a couple of days, or longer. That brings me to how this article came about. We are planning a cross country RV trip this summer and I refuse to go without a spare tire. Our motorhome has 22.5 inch tires with 8 lug rims. When I tried to locate a tire and rim it was difficult to find one. I’m sure I could order one from the manufacturer, but I would be afraid to know what the cost is. We have a good roadside assistance plan so what I decided to do was to just buy the tire itself and if I have a flat the roadside tire service can mount the new tire on the rim. It is less weight to carry and it eliminates the possibility of delays due to ordering and waiting for a tire to come in, if it isn’t in stock. Regardless of whether or not your RV came with a spare I think it’s a good idea to get one, and I think for safety reasons you are better off having a roadside service plan that will change the tire for you.